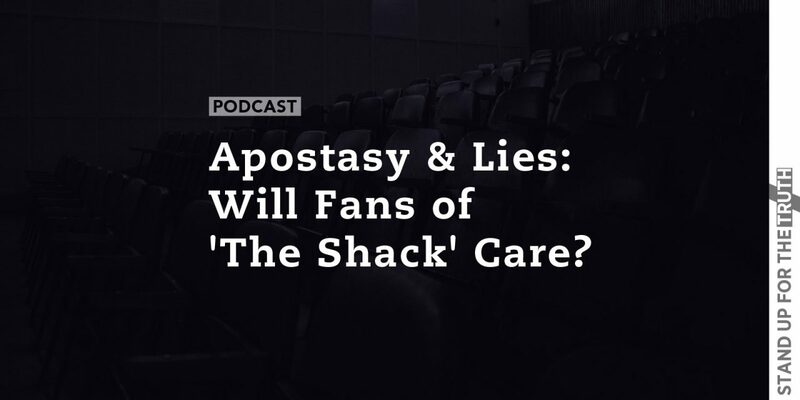 Apostasy & Lies: Will Fans of ‘The Shack’ Care? Some of us who read it saw some very concerning ideas and tried warning people that the book misrepresented the nature and character of God. It discounted the whole gospel of confession, repentance, and salvation through the willing sacrifice and shed blood of Jesus Christ. 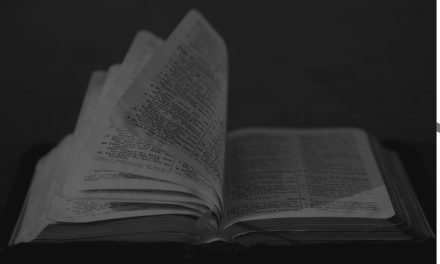 Naturally, in our modern times of biblical illiteracy, we who raised concerns were often called Pharisees, dividers, and haters. We were told we were taking it way to seriously. After all, The Shack is fiction. Some said we were reading things into the book and the author’s beliefs that just were not there. So now after the original book, a movie based on the book, and a brand new nonfiction book by Young, we all get to see the theology of The Shack author in his own words. His new book, Lies We Believe about God,” will most likely be dismissed by those who loved the movie and his first book. 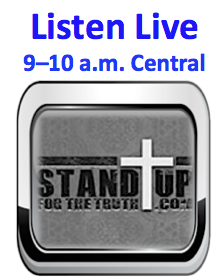 So this morning, we will look deeper into what the author actually says and believes as we critique his new book. Can we at least agree, as Christians, to hold up Young’s words and beliefs against the truth of God’s Word revealed to us in Scripture? As we approach this program today, what are your thoughts and do you think Young’s description and understanding of God line up with the Bible or contradict it? The Shack appeals to our human desire to be loved and forgiven, but it discounts what is required by God: confession and repentance. The movie plays right into the growing mindset in America about wanting benefits without responsibilities. It’s overall message is that God conforms to us instead of our need to be transformed into the image of Christ which produces holy living. The Shack is the prefect message for people who want to think we are all basically good in nature and character. The Shack has sold twenty million copies and along the way generated at least twenty million conversations. Many of these have been attempts to discern the fact behind the fiction, to interpret what Paul Young means to teach through his story. Some have read the novel as a fresh expression of Christian orthodoxy while others have read it as rank heresy. In the end, only Young knows what he really believes. Our biblical Truth: The bible says all men are wretched sinners compared to the glory of God. Before God’s saving grace through our confession, repentance and complete faith in Jesus, we are creatures of moral depravity. But as born-again believers we receive the imputed righteousness of Christ. God no longer sees us wretched and depraved—he now sees us as adopted sons and daughters—as loving children we should obey all he has commanded because of what He did for us on the cross. Biblical answer: God is ultimately sovereign over all His creation. His will one day will be done for eternity. He has given man a free will to choose to love and obey Him or not. But for Young to say that God “submits rather than controls” heightens man to a place of authority and control, rather than submission and honor to God. Biblical answer: No, we are not “all on the same path”. Every human being in on one of two paths: Either on the path to salvation and sanctification by submitting to God; or on the path of disobedience and denying God, headed for eternal separation from Him. This is Young’s attempt to marginalize ‘religion”—a familiar emergent tactic. Emergents give a false choice: religion or relationship. 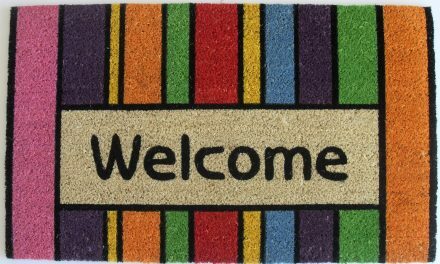 The truth is born-again believers have a growing relationship with God within certain rules He has given us. In fairness Young does bring up a good point: The danger of an unhealthy emphasis on religion over relationship with God. Legalists stress rules, some of them man-made; Emergents stress relationship without boundaries. When we understand what I call in my book “Biblical Conjunctives” we find the biblical balance and truth about religion and relationship. Chapter 13: “You need to get saved.” – WOW, this is a lie, according to The Shack author?! Biblical answer: Young seems to have found a new classification: Universal Calvinism: That God predestines who is saved—every one—and that there is no choice or responsibility whatsoever for men to confess and repent. The Bible is clear that through the sacrifice of Jesus Christ on the cross that salvation is available to men if they confess and repent and understand that Jesus absorbed the righteous wrath of God against sin in our place. Young’s teachings on salvation are dangerous and eternally deadly to the souls of men. Biblical truth: Jesus Christ willingly submitted to The Father’s will to be the sacrificial lamb that bore the wrath of God against sin. There was no ‘child abuse”. Jesus has eternally been part of the Trinity—He willingly became the sacrifice for our sins. 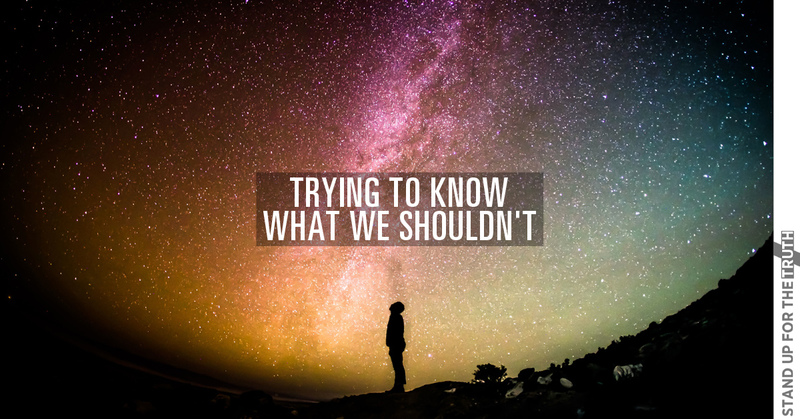 “Abuse” is forcing someone to do something hideous against their will: Jesus willingly took our punishment in our place. 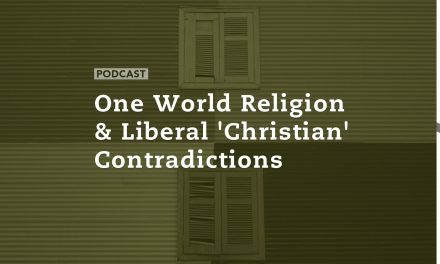 Young lines right up with Rob Bell and Brian McLaren—modern day apostates—in his lack of understanding about the cross. This lines up with Rob Bell’s ‘second chance salvation”—that after death we can still be saved. Biblical truth: God proclaimed all creation “very good” before Adam and Eve chose disobedience and rebellion against God—when sin and death entered the world. This is nothing less than blatant Humanism—another trait of Emergent theology. It distorts the nature, character and Word of God. Through twenty-eight brief chapters, Young systematically discusses and denies tenet after tenet of the historic Christian faith. He denies human depravity and divine sovereignty. He proclaims there are none who are specially loved by God and that formal religion is opposed to God. He insists that all humanity has been or will be saved by the gospel, that hell does not exist, that God merely submitted to the cross, that any God who would punish his Son as a substitute is abhorrent, and that the very notion of appeasement is unworthy of God. He denies that sin separates us from God and that death represents the end of our opportunity to respond to his offer of divine grace. In Lies We Believe About God, we see Paul Young apart from the subjectivity of narrative. And as he proclaims what he denies and affirms, he outs himself as beyond the bounds of Christian orthodoxy. This book is a credo for false teaching, for full-out heresy. I do not say this lightly, I do not say it gleefully, but I do say it confidently. Christian booksellers should be utterly ashamed to sell this book or any other by its author. Christians should not subject themselves to his teaching or promote his works, for he despises sound doctrine that leads to salvation and advocates false doctrine that will only ever lead away from God. Young successful plays off our Humanist desires of a God who is fashioned in our image—the desires of our flesh. It is not the blatant lies that deceive us—it is the type of clever deception and misrepresenting “facts” as truth that deceive us. Young does in masterfully. 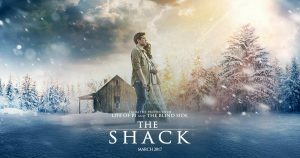 After reading what Young really believes—every Christian should be very wary of watching the movie “the Shack”. And if your reason in seeing it is to “bring an unbelieving friend and open up a discussion about the gospel”…there is no gospel in The Shack. It is a wide open door to deception and apostasy and embracing its teachings as truth can only lead to eternal damnation. The resource site for “The Shack” provides both written and recorded endorsements from many well-known entities, including leaders and representatives of The Salvation Army, Young Life, Family Christian Stores, The Christian Post, K-LOVE, CBN and TBN, to celebrities such as Michael W. Smith, Joel Houston of Hillsong United, Gospel artist Tasha Cobbs and Chip and Joanna Gaines of HGTV’s “Fixer Upper” show. “I had some problems with the theology of this story, but I am remembering that it’s just a work of fiction and perhaps it will be helpful to those that are hurting and have unforgiveness. So because of this, I’m saying I give it a thumbs up,” said Trish Fuhlendorf of K-LOVE in Denver, Colorado. “There were moments of great humor and plenty (so many) tear-jerking moments. I fought back tears at least four times. God, Jesus and the Holy Spirit were so cleverly depicted. LOVE the film!” also remarked Kevin Porter of the The Christian Post.